#VS GridMap 1.1 The GridMap component for Visual Studio development platform is a tool for area management. 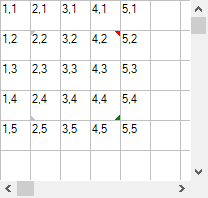 It is possible to set the size of the area in rows and columns. 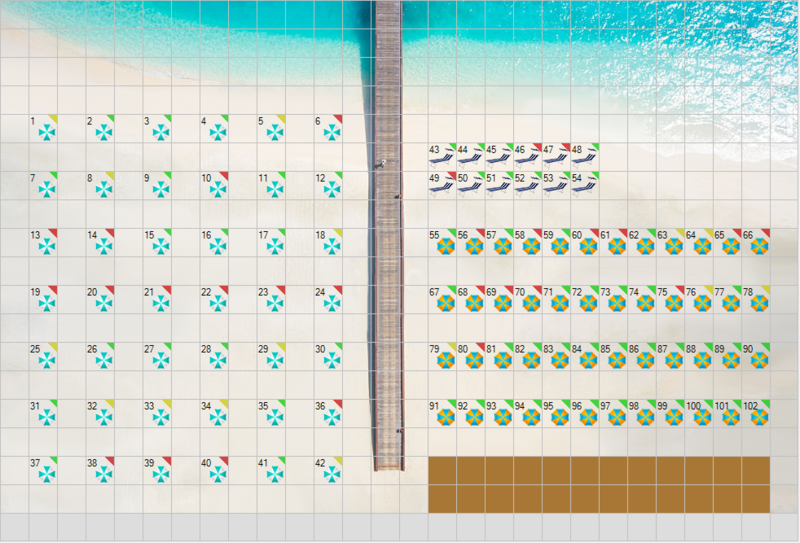 This will create a grid divided into cells, each with its properties. This will allow you to use the component for any situation, such as: beaches, swimming pool, camping, parking, maps, games, etc. #Features After inserting the component into the whole window it is possible to change the characteristics. 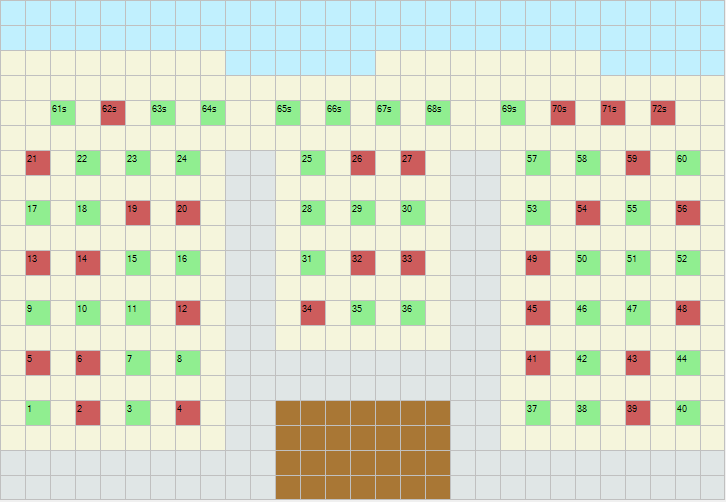 It will be possible to choose the size of the grid, Columns, Rows. 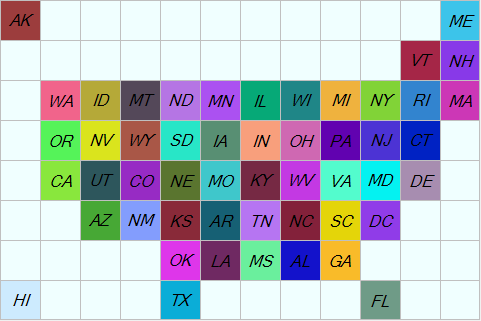 For each cell it will be possible to set the color, the data, and other properties. Clicking on a cell will trigger an event with parameters that will report: the Cell position, and Cell object from which it is possible to trace all the properties. 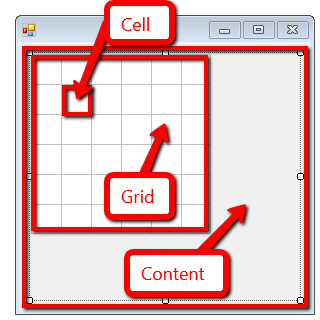 #Control properties The control is divided in 3 sections: Content, Grid, Cell. 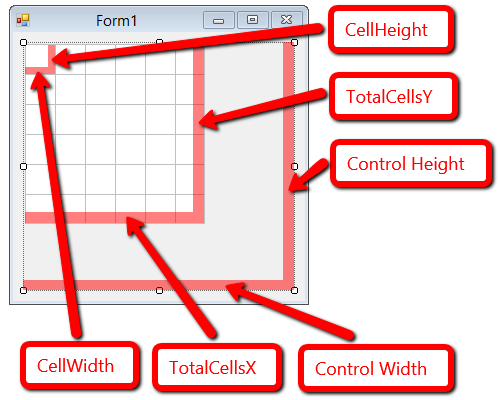 You can set Width and Height control size, TotalCellX and TotalCellY grid size, CellWidth and CellHeight. For each cell you can save a class, object, value, ecc. So when you want can get cell value. You can use images to paint Content Background, Grid Background, and Cell Background. #Download You can use the VS GridMap component in your Visual Studio projects, in unlicensed design mode. If you want to compile your application with the VS GridMap component you need a license or a warning message box will appear. This install package is for .Net Framework 4.5, but you can download the component in different versions according to your needs. #Examples You can use these ready-made examples to learn how to use the component right away. #Online help For all technical information you can consult the online help. #Buy now You can buy the component in FULL version, is available on our store.